What sets CMN apart from ALL others? The Castle Mortgage Network model is unique to the mortgage industry. The combination of our commitment to ongoing training, state of the art underwriting technology and industry experience is unmatched in the Canadian marketplace. Make More Money than most other Brokers! At Castle Mortgage Network (CMN) we have identified what holds most mortgage brokers back from reaching their individual potential. That is having to keep up on all of the industry changes, lender regulations, insurer regulations, Governmental changes and collecting the correct documentation from your clients. These “underwriting” and “document collection” stages are what takes most mortgage agents away from finding new clients and opportunities and ultimately limits their production or income potential. With our proprietary underwriting and document fulfillment teams, we ultimately take that concern away and let you focus on the more important task of interacting with your clients, finding new clients and business opportunities and the many sales functions necessary to maintain a successful mortgage business. Plugging into the CMN will ensure that your days are filled with focusing on selling your services instead of dealing with the day-to-day communication between lender, funder, insurer, lawyer and client making you more profitable on each mortgage. Unlimited Support to Make Your Life Simpler! The Castle Mortgage Network (CMN) will provide you with initial training to help you navigate the CAAMP (The Canadian Association of Accredited Mortgage Professionals) accreditation course to successfully achieve licensing here in Manitoba. Once licensed, CMN will then provide you with the most solid foundational sales, business and mortgage training available anywhere in Canada to ensure your long term success. Our underwriting and support technology will allow you to focus on the vital task of working ON your business and not IN your business – giving you the time to develop your client and referral source relationships while we take care of the paperwork side of the business to ensure that your clients receive the best possible experience available in the mortgage broker industry. Castle’s commitment to you is supporting your business to ensure that you have access to the most up-to-date and industry-leading information and training available in the mortgage business. Are you Life Insurance Licensed ? The best referral source for a Life Insurance Broker is a Mortgage Broker! Why not become one and get the best of both worlds! Many people are dropping their Investment License and becoming Mortgage licensed since the Manitoba Securities Commission only allows you to have 2 of the 3? Offering your services to assist in getting someone a mortgage is a much easier conversation that offering life insurance “UNTIL” they have the mortgage. Then Life Insurance is a natural progression! So how can we help you do both? We help get you licensed – then we train and mentor you on how to get clients and how to service them! Most Importantly: We DO ALL the Underwriting and Paperwork – which takes all of the confusion and most complicated parts of submitting a Customer’s Mortgage Application. We make it EASY for You – leaving you more time to Find More Customers! Professionals with Years of Expertise as: Underwriters, Lenders, Real Estate Lawyers, Home and Life Insurance Providers – All the Support you need to make your Job Easier so you can concentrate on your Customers! Want to be part of a growing and vibrant industry? Want to have a well-respected rewarding profession? 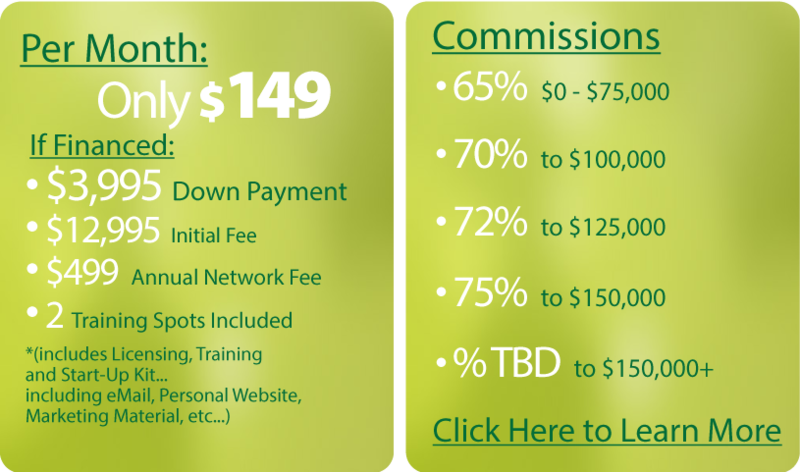 Want truly unlimited earning potential? Tired of a rigid policy driven environment? Tired or working for someone else? Want a rewarding career that you can operate from anywhere? Want to take the best of what you’ve learned from your current industry and apply it to a Mortgage Broker career? Have family responsibilities that would benefit from more flexibility in your work day? Want to truly reap the rewards of your sales efforts? Tired of making making other people money and not getting the cognition you deserve? Want more control over your career? Want additional income to supplement your current source? Explore our FAQ page for more more details! You are now a CMN Mortgage Broker with all our support behind you. Click here to Calculate your Commission! (Click Here) To get more info or join TODAY! “As an entrepreneur, investor, and marketer, I researched the mortgage career opportunity for nearly 8 months which included interviews with 3 banks and 5 mortgage brokerage firms, along with several people in different walks of life who had positive referrals to the Castle Mortgage Group. The Castle Mortgage group is in a tremendous growth mode that you can see and feel. Once I joined the team, I knew that this company is an industry game changer that will take me far in life and will be proud to be a part of.